This file photo dated May 18, 2017, shows the Countess of Chester Hospital in Chester, England. British police said Tuesday, July 3, 2018, that they have arrested a female “health care professional” on suspicion of murder and attempted murder at Chester hospital, without identifying the woman or giving details of her job. Authorities in England arrested a woman on suspicion of killing eight babies and trying to kill six more at a hospital near Liverpool, NBC News reported. Police only identified the suspect as a "health care professional" in a statement released Tuesday. 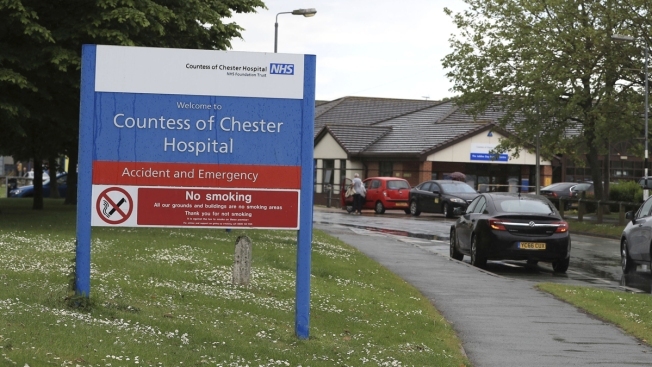 The woman's arrest comes amid a yearlong probe into the deaths of 17 babies and 15 "non-fatal collapses" at the neonatal unit of The Countess of Chester Hospital between March 2015 and July 2016. "This is an extremely difficult time for all the families and it is important to remember that, at the heart of this, there are a number of bereaved families seeking answers as to what happened to their children,” Detective Inspector Paul Hughes said in the statement.